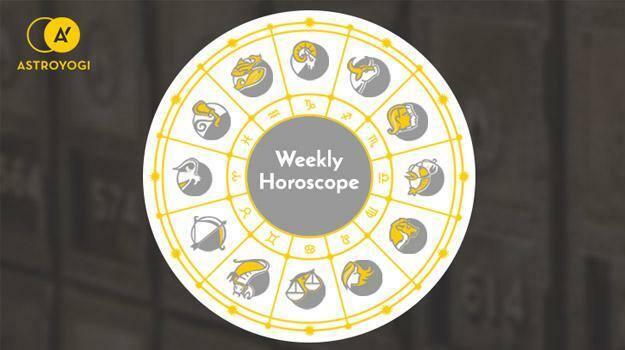 Your weekly horoscope (5th Nov to 11th Nov, 2018) analysis can provide insights on the crucial planetary movements and its impact on your life. Stay tuned to Astroyogi’s expert astrologers for horoscope analysis. Your quarrelsome temperament may not win you many friends, but romantically speaking, it’s a tonic. People respond well to your feistiness. Perhaps they confuse it for dynamic energy? Those closer to you will be less responsive, so do choose your audience wisely. You may lack in confidence and try to compensate with a brusque manner which belies how you truly feel inside. Health may lead to tensions so ensure that you have an appropriate outlet for any concerns. Concentrate and focus on areas of importance to you. Romance lingers around you creating sizzling opportunities for you. Your love life takes on an enthralling element, almost as if from a story book. Children will be a source of positive tidings. Do bear this in mine! Slow and steady wins the race, so goes the old adage. You should bare this in mind this week if things appear to progress slowly. We can’t always control the speed of things as they unfurl. Consider, the bud opens in its own time. Nothing can be done to rush it. Your love life may require some extra attention and pruning, so do not ignore your responsibilities in this area. Your body, mind and soul are energised and positive, making you a far more attractive proposition to all and sundry. Expect to receive some good news. Mars in Aquarius bolsters the equilibrium in your love relationships, reinforcing a caring, loving and tender environment in which you can thrive. You also enjoy robust health. Friendship is important to you this week, both those that have weathered many a storm with you and those who are new acquaintances in your life. Friendship and connection matter deeply to Gemini natives who need to chat, explore and come to know themselves through others. You can’t help but be striking and impressive to others this week and recognised for this fact. Whatever you pour your energy and resources into will be responsive. This is a good time to take on a new educational pursuit as well as to approach someone you are attracted to. People will respond warmly to your original flair. With Mars in Aquarius, you enjoy a fortunate period. Your interest in spirituality and romance will be heightened and bring blessings. This week you are intrigued by expansion. You want to grow your career, your business and yourself. If there’s an opportunity for development, you’ll take it. You aren’t one to shirk a challenge and your sensitivity and empathy are true assets. You are also drawn to anything new whether it be a new home or vehicle. There is a desire to autonomously own something that feels like ‘yours’, to start fresh with something. You are drawn to things that are beautiful and that appeal to your unique taste and you do have a good eye for such things. With Mars in Aquarius, you will be provided with positive energy via a partner if coupled. Be aware that as an intuitive and perceptive sign, you are keenly sensitive to outside influences and as such should guard yourself tenaciously against dark clouds. Learn more about the key characteristics and personality traits of your zodiac sign on our Daily horoscope app. Download the app now! You continue to be active this week and take on roles of leadership when it comes to your social life. You galvanise others to join the party and are careful to make sure that they feel included. There is a level of compelling excitement in your life, felt almost like an undercurrent, that keeps you feeling positive, motivated and involved and this is contagious. Others may come to view you as their lucky totem – you help them to see the joy in life. You are drawn to taking short trips and re-meeting old friends. People mean a lot to you and your relationships with them make you happy. With Mars in Aquarius you forge easy romantic alliances. Hardly surprising for such a warm, loyal and generous sign. You have all the qualities a partner could want! You brim with innovation – share your ideas, things may happen! The future is always decided by the present. We sow seeds now that grow flowers we can’t yet see. We have to trust they will materialise, just as we trust that spring will bring forth flowers. This is a good time to think about the seeds you want to sow. What sort of future do you want to make for yourself? This can be an empowering line of thought to take, rather than an intimidating one. Your ability to communicate is one of your greatest assets. You have a brilliant mind, ruled by Mercury, and have a cerebral character. How you write and speak is hugely important. With Mars in Aquarius, you should continue to adhere to yoga and meditation. Consistent practice will bring you rejuvenation and make the path to the future clearer. Spending time with those you love is a true tried and tested tonic. You may still have your anxieties and low phases, but you are able to be drawn out of this by being social and being in the company of those who understand you. Libra’s are live wires who like to part of a group. Only when you feel truly despondent do you retract from such fun. Anything that you want to happen may materialise at this time so dream big. The sky truly is the limit, you also effortlessly complete tasks that you start. With Mars in Aquarius you may enter parenthood. There may also be simmering tensions in your love life that could be interpreted positively or negatively, depending on your perspective. Decisions usually come easy to you as you have a strong gut instinct that rarely steers you wrong. You pick up on vibes that others breeze right by. That said, this week decisions don’t feel natural to take. Sit with things for a while. Mull them over. Conclusions will be drawn, but perhaps not quickly. You are drawn to make purchases, and the odd indulgence is not a bad thing, however do be mindful of not over-spending. Money is not a problem at the moment, but sensibility is advised. With Mars in Aquarius you are drawn to new things and they too are drawn to you, as such some change may occur naturally and dynamically. Professionally this is a great time for you and your mother douses you with love and affection. It's important this week that you maintain the same faith in yourself that you bestow on the rest of humanity. You have such high expectations for others and for life, but this week you struggle to reflect this inward, and it’s important that you try. You may distance yourself from others due to internal emotional conflicts. Although this can be an important step towards healing, make sure that you don’t hibernate. You are at heart a people person and you need to be with others. In fact, it’s good for your mental health. You enjoy indulging in food, travel and other enjoyable pastimes but it’s important that you don’t overdo this, as you do have a predisposition for excess. You may be more affected by the climate than usual. You continue to work hard and avoid feeling bogged down by your competitors. You are in a one-person race, seeking only to improve yourself. This is a positive, proactive approach and you should be applauded for it. Your willpower will make all the difference in the world, getting you to where you need to be. If single, you may have a desire for love and relationships and you will pursue your need for both with as much vigour as you do everything else. Although you need to constantly tinker and toil in order to balance your professional and personal life, you are essentially happy this week, and it shows. You feel content and at peace with progress made and are learning how to enjoy the fruits of your labour. You enjoy good health, which is of course true wealth and puts you in a solid position. Anything that has troubled you in the past including bad patterns and habits will fall away. With the sun in Scorpio you are rewarded handsomely at work for your efforts. You are appreciated, and this bolsters your self-esteem. You are also lucky, and are set to grow, develop and evolve this week. A fixed sign, you are happy planting yourself and growing, but this week you are urged to uproot. This is not a bad thing. Our challenges encourage us to seek out new opportunities. Serious issues are resolved bringing a sense of relief and completion. The past no longer haunts you or drags you back into its mire. Your love life is enhanced in magical ways. With the sun in Scorpio, a natural level of luck is yours to enjoy. The more you act on this luck, the more seems to appear. Perhaps it’s a case of the law of attraction working its magic or like attracting like, but it’s nothing to shake a stick at. There is pressure and competition at work, but you are able to flourish. You do have a somewhat poetic nature that makes you both sensitive and susceptible and sturdy and strong. Ensure that you continue to prioritise your own health and needs and do so consistently. With Mars in Aquarius, you embrace a more laidback attitude and your personal life feels like smooth, steady sailing. You feel able to tell others how you feel and what you want.